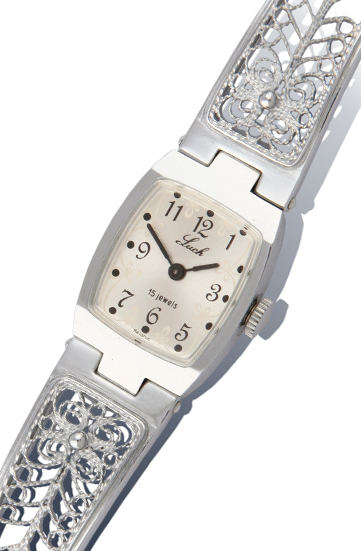 Lady's Wind Up Filigree Wrist Watch. Running time per winding no less than 38 hours. The silver tone face is 3/4 x 1 inches. The silver tone color bracelet is 7 3/4 inches long. Adjustable to smaller wrist size. The color of the face is silver.